Since it’s golden days as Groove Addicts, the Santa Mona-based company, GrooveWorx, has always been known for top notch production quality. 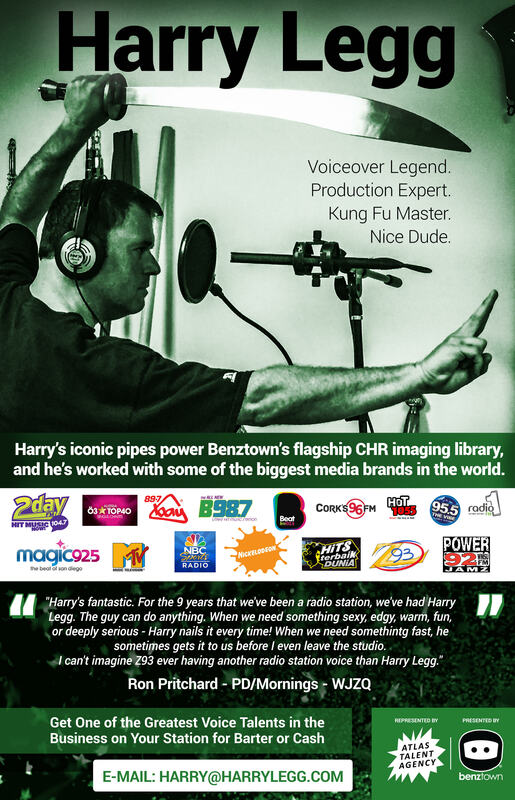 This is why GrooveWorx is the branding and imaging choice for many of the largest radio broadcasters in the world. The secret? It’s all about talent. It’s A-List radio imaging talents, Will Morgan, Robert Dudzic, and Steve Sykes are unsurpassed, while GrooveWorx’s potent roster of talent create custom station branding that give clients a unique signature sound. GrooveWorx jingles have been heard on such illustrious stations as Z100 New York, KIIS Los Angeles, KHHT Los Angeles, KRQQ Los Angeles, WSIX Nashville, WXXL Orlando, KYXY San Diego, WILV Chicago, WHYI Miamy, BBC Radio UK, CHUM Toronto, Capital Radio UK, Bayern 3 Germany, FFN Germany, N-JOY Radio Germany, Radio SAW Germany, 3 Austria and many more. One of the company’s latest masterpieces was the Ö3 Hit Radio package. GrooveWorx commissioned musicians, vocalists, and an engineer who have worked with such huge artists as Michael Jackson, Cher, Billy Idol, Elton Johnn, Pink, Rob Zombie, Linda Perry, Scorpions, and Tyler band from Europe. Ö3 Hit Radio produced a video showing the making of the package from recording to on air studio.